Prefinished with a safe NO VOC waterproofer, Seal-Once™, Montana Timber Products textured products are commonly used for interior wainscot, wall and ceiling paneling, as well as trim. Our dimensions, color, and texture options are designed to provide rustic elegance inside the home, reduce installation and finishing time, and compliment other interior material we may provide. 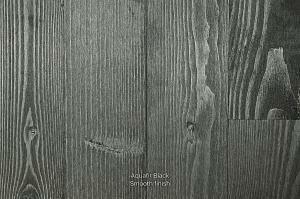 Our new product offering of interior wall paneling in smooth and skip sawn textures is available in tongue and groove profile with 3.25" or 5.25" face coverage, 4ft and 8 ft lengths. Colors are available in the following ranchwood and AquaFir colors.